No one said transparent government was going to be easy. Mark Headd remembers the day he became an afterthought. 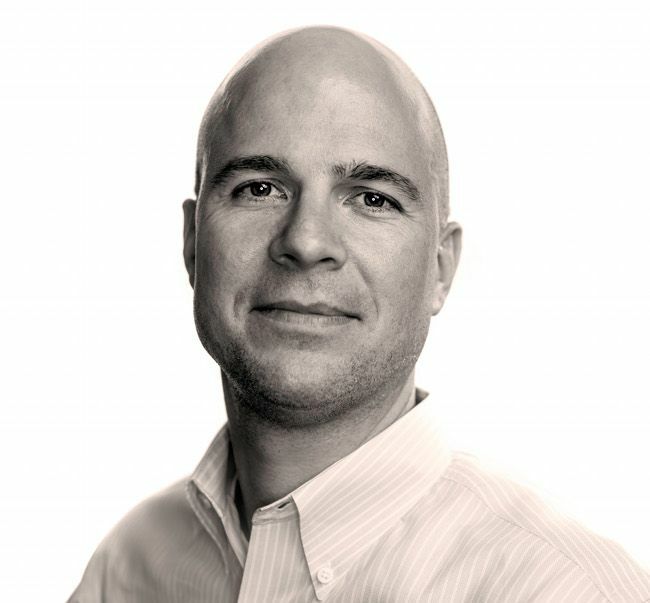 Hired by Mayor Michael Nutter in August 2012 to be Philadelphia’s first chief data officer, Headd was supposed to deliver on the Mayor’s ambitious promise to transform the city’s notoriously opaque ways of doing business. On paper, Philadelphia was ready for the open data revolution, and Headd was well positioned to bring it. 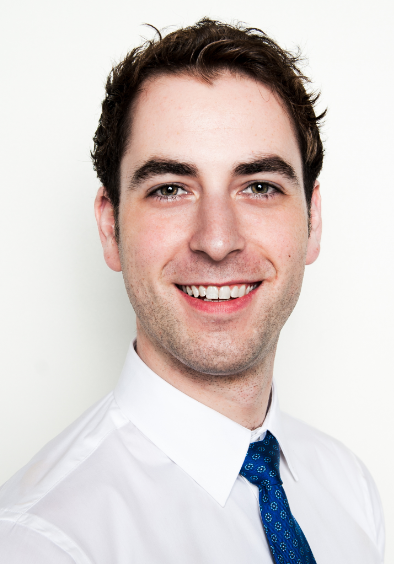 A software developer and good-government hacker who was well-known in the latent, but growing, local community of civic technologists, Headd had earned the ear of Nutter over several years working as a civic hacker and, for six months, as the Philly-based director of government relations for Code for America. A few months before Headd made the jump from the influential San Francisco-based nonprofit, the Mayor had signed an Executive Order that created Philadelphia’s first-ever Open Data Policy and mandated releases of city-held data. The profound shift in city government policy slowly creeping across the U.S. since the end of the previous decade had finally made its way to the City of Brotherly Love; no longer could a city claim transparency while keeping its internal records stashed away in a locked file cabinet, or its digital equivalent. Even before Nutter’s order, the city had begun releasing data sets of public information including real estate and land records, and in 2011, a local GIS-mapping company, Azavea, built a large open data portal using the public records. Headd had helped launch the portal, Open Data Philly. Now it would fall to him to convince city officials to unlock the countless other public records that remained veiled and make the data open: publicly available, easily accessible and readily downloadable to any Philly resident — and anyone else who had heard of the Internet. At the time Headd officially joined the Nutter administration, Chicago was the only other American city that could count a chief data officer among the ranks of its civil servants. His first year in City Hall was an exciting period, with the software developer successfully negotiating the release of more than 50 fresh data sets, including long-coveted crime data, property assessment data, bike theft data, campaign finance data and more. By 2013, Philadelphia was regarded as a nationwide leader when it came to open data. 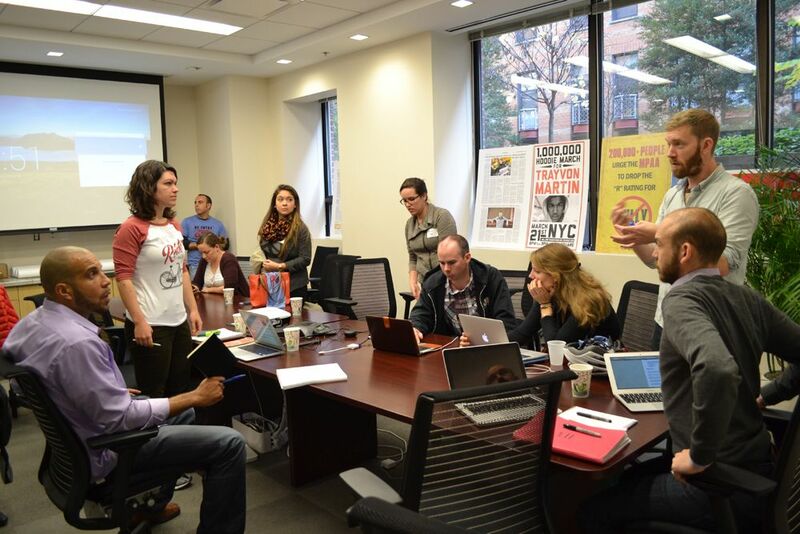 Its civic hacking community was robust, bolstered by routine events held by groups such as Code for Philly. The city had reached what Headd calls “that messy, uncomfortable, adolescent phase of open data.” Now it was time to go beyond creating fun apps and make one with the hard stuff: public employee salary data, city government expenditures and property records that, while available online, aren’t offered to the public in a user-friendly form. Salary, tax and spending data had long been the currency of investigative journalists and good-government watchdogs; it was the stuff that got people in trouble, and motivated change. It was the information open government advocates like Headd had in mind when they began pushing cities to go transparent. The CDO began meeting with department heads and requesting access to data sets that had never before seen daylight. He explained his belief that no one should have to file a right-to-know request to discover salaries of city employees or embark on a cumbersome online search to find if a house with code violations also has a property tax balance. In very short order, Headd, whose salary was $138,000 (a figure plucked from a Philadelphia magazine article, since it’s not on the open data portal), found his job much harder. He recalls meeting with people from the city’s Department of Finance to explain in careful detail how to release sensitive expenditure data and noticing midway through the meeting that no one was taking notes. After one year and seven months, in April 2014, Headd stepped down as Philadelphia’s chief data officer. The tension between Headd and his colleagues in City Hall was in many ways par for the course, even in the self-anointed capital of transparency. There is always resistance to change, and public officials’ hesitation to release certain data is to be expected, says Robert Cheetham, founder and president of Azavea. “Some of it will be valid,” he says. “You don’t want to be releasing your health and human services data about individuals. But there’s no reason you shouldn’t be releasing it in aggregate so that people can get a better understanding of public health concerns in the city.” Then, of course, there are privacy issues: Who wants their salary or property tax delinquencies to be googleable? No one working for Mayor Nutter, it seems. Nine months after Headd left City Hall, there is still no definitive timeline for releasing the data he sought to make open, and his successor, Tim Wisniewski, appears to have other priorities. Meanwhile, the clock is ticking down on the administration. There are no guarantees that the next mayor will keep the position of chief data officer, and if he or she does, the department’s budget could be cut dramatically. When techies talk about the inception of a movement to make public information free and readily accessible on the Internet they often cite a meeting held in December 2007 in Sebastopol, Calif., north of San Francisco. Big names in tech, including online media giant Tim O’Reilly, Harvard legal theorist Lawrence Lessig and Adrian Holovaty, the founder of EveryBlock, were there to define the concept of open data. The goal was to push the idea into the mainstream and eventually have it adopted by the candidates running in the 2008 presidential election. The win was achieved and quickly bested when President Barack Obama signed an open government directive soon after entering the White House. Right now, Philadelphia is at that same pivotal pre-election moment. The question facing the city, however, is different than the one taken on in Sebastopol. Philadelphia has the infrastructure for an open government. The next hurdle is making it matter to people outside of the city’s small civic tech community — making it relevant to the lives of people more interested in safe streets and good schools than the lofty ideals of a digital revolution. Nutter will leave office before being able to claim that accomplishment. Will his successor? And if the next mayor is able to move beyond the clever hack to create the kind of impact the open data movement craves, he or she won’t be able to do it alone, just as Headd couldn’t accomplish his goals on his own. One city that has figured out how to translate open data into tangible, street-level change is Chicago. 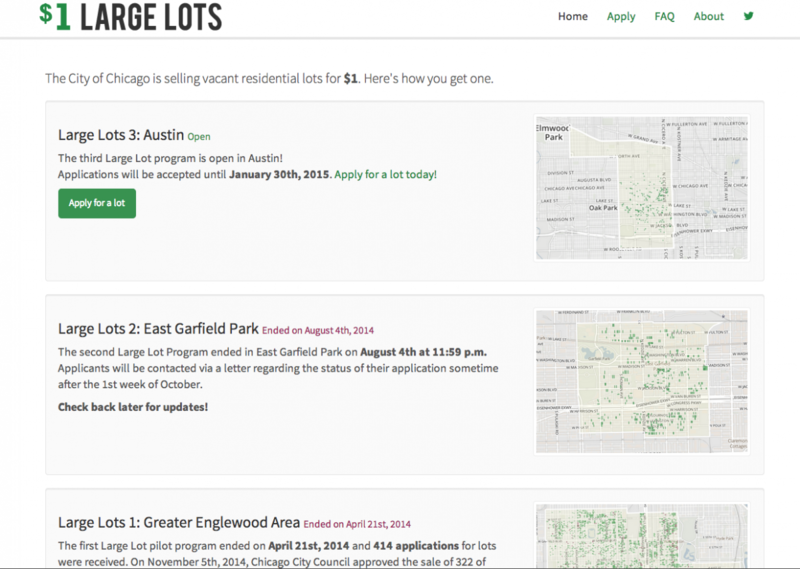 An example can be found in the city’s Large Lot Program and its corresponding, consumer-facing website LargeLots.org. Through the city’s program, local landowners living on the same block as city-owned vacant lots can buy a lot for $1, on the condition they don’t sell that lot for five years. The program is a win-win for Chicagoans: Lots are returned to the tax rolls and residents are ensured a direct stake in the health and safety of their neighborhoods. Here’s why it’s an open data success: Residents find the available lots on LargeLots.org, which was assembled with public records that were previously difficult to track down. The program would likely fail if not for the easy-to-use, searchable data. Likewise, without the city policy allowing vacant plots to be sold for $1, LargeLots.org would be nothing but a research tool — useful, but without the promise of clear, direct impact. “Some of the most exciting things happening with open data are when data and policy change at the same time,” says Michelle Lee, CEO of Textizen and an alumna of Code for America’s second Philadelphia fellowship class who helped build and launch a public feedback app there in 2012. Chicago didn’t get to this point overnight. It’s taken time for the city to release open data, see a community of civic hackers rise up, cultivate that community, and discern how government can use the talents of coders to improve public policy. It was in Chicago that the first iteration of EveryBlock launched in 2007 as a platform for neighborhood-level public information. In its earliest days, Holovaty scraped Chicago government websites in order to place neighborhood crime statistics alongside aggregated local news reports and community message boards. In a separate instance in 2008, hacker Harper Reed — who was chief technology officer for President Barack Obama’s 2012 reelection campaign — picked apart the Chicago Transit Authority’s official bus-tracker website to determine the routes and schedules of all Chicago buses. He then released an API of that data — a real-time feed of information — so people could program their own bus-tracking apps. “You have these people who were doing this stuff before it was convenient and easy as it is to do now,” says Derek Eder, a partner at open data web development company DataMade and a co-founder of Chicago’s Open City civic hacking group, which has been running every week on the same night for the last two and a half years. About 80 people now, including residents, students, journalists, policy experts and city officials, attend Open City’s weekly meetings. The group itself is a line item in the City of Chicago’s technology plan. In the beginning, Eder says, the group approached open data with an opportunistic mindset, assembling whatever they could from the data. Now that has changed slightly. “We don’t typically approach it from the data first anymore, and I think that’s a really important thing to do, and a sign of maturity,” says Eder. “We get at it from the problem point of view.” Case in point: ClearStreets, an Open City-designed app that uses data from the city’s Plow Tracker app to mark which streets have been cleared of snow and which still need a visit from city snow plows. Another example, created by another group of Chicago hackers, is SchoolCuts, a repository of data on public schools that went live last summer in response to concerns from parents about a decision by Chicago Public Schools (CPS) to close or consolidate 129 city elementary schools. Jeanne Marie Olson, a member of the SchoolCuts team who was already collecting school performance data from PDF reports when the school closures were announced, says she can’t say for certain whether the website helped save any schools that were slated to close. But after CPS officials began asking parents to make a case for why a school shouldn’t close, SchoolCuts empowered parents to build a stronger argument using data on enrollment rates, student performance on state standardized tests and more. Think of it this way: An app created by a civic hacker could be sorely needed, or it could be something that got made because of the data the hacker happened to possess on the Saturday afternoon she happened to be free. Too often, apps fall into the latter category. One way to avoid that fatal disconnect between app and need is through the development of a civic hacking community that reflects the city at large. In Los Angeles, where the civic hacking community is still in its infancy — L.A. Mayor Eric Garcetti just launched the city’s first open data portal in May — they’ve begun by intentionally reaching out to underrepresented demographics in technology. “We’ve brought in middle-school girls. We’ve held our events in nontraditional locations. We’ve worked hard to bring in African-Americans and Latinos,” says Catherine Geanuracos, co-founder of Hack for L.A.. In Oakland, there’s Hack the Hood, a nonprofit that trains low-income youth of color to build working websites for local small businesses during six-week-long camps. But civic hacking communities aren’t monolithic. They aren’t ships to be steered by a sole captain to take advantage of changing winds. Many form organically. And sometimes the community needs to be established for a while before the sort of impact McCann talks about can be seen. Matt Bailey, a co-captain of the two-year-old Code for D.C. civic hacking group in Washington, says that meetings are slowly becoming more diverse. At an event this fall, a young man named Brian Ferguson, who was recently exonerated after spending more than a decade in jail for a homicide he didn’t commit, spoke about an app he is building to help people returning from prison integrate back into society. “If you look at the newcomers who show up, they’re people working on projects who need help, or people who aren’t hackers, or they’re civil servants,” Bailey says. “What we’re really trying to do is get much more serious about grounding the work we’re doing in the actual needs of the community, as opposed to our perceived notions of what the community might be.” In Code for D.C.’s case, that means finding an organization that helps people with food assistance to find out if clients use smartphone apps or SMS prior to building that WIC program civic hack. Headd, for his part, sees the movement influencing the way policymakers make decisions. In Wisniewski’s calculation, as it was in Headd’s, open data is just a means to an end — the end being a more open government that encourages civic participation. 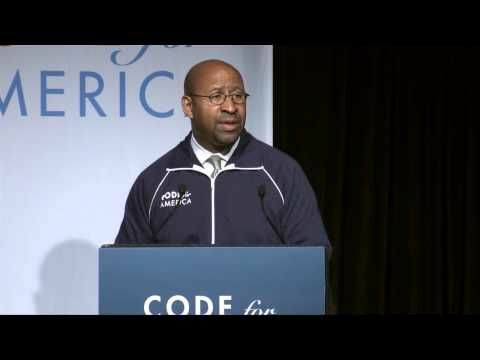 That’s a job, in part, for Aaron Ogle, a 2011 alumnus of Code for America’s first fellowship class in Philadelphia who took over Wisniewski’s old role last August. As of December, Philadelphia had released 156 data sets, and examples of civic hacks are aplenty. An app built by a lone civic hacker that shows which SEPTA train stops are wheelchair-accessible launched in March. A data visualization built by Code for Philly highlighting how the School District of Philadelphia spends its money came online in May. How widely known these tools are is a question, despite the best efforts of the local technology news website Technical.ly Philly. (Disclosure: From 2012 to May 2014, I was lead reporter for Technical.ly Baltimore, a sister site to Technical.ly Philly.) Yet little by little, civic hacks are finding their way into policy. It has been eight months since the launch of CyclePhilly, the mobile app developed by Code for Philly that the Delaware Valley Regional Planning Commission is using to determine the number of cyclists and the routes they take in and around Philadelphia. The data will inform how DVRPC builds bike infrastructure. “This is the right project at the right time to help us capture that data so that we can make even better project decisions,” Greg Krykewycz, manager of the commission’s transit, bicycle and pedestrian planning, told WHYY’s NewsWorks in June. Yet Headd worries about the latitude the open data team will be given. After all, the property, salary and expenditure applications he envisioned are still on the drawing board. Nutter is richly deserving of credit for the city’s Open Data Policy, he says, but the two-term mayor’s Executive Order gets a question mark after the Democratic primary in May. Plus, now that Nutter has chosen to keep certain data close to his chest, the next mayor will have even less incentive to lift the veil. Tim Pacific is an award-winning graphic design student entering his senior year at Rutgers University in Camden. In addition to his schoolwork, Tim is an active freelance illustrator. His work can be seen in AIGA Philadelphia’s SPACE, which features a recently completed series of hand-lettered postcards. Among his design philosophies, Tim believes strongly that concept comes first and you should absolutely judge a book by its cover design.